Many people are surprised to know that play money poker is actually the most popular form of the game online. This involves playing with fake chips given to you by the house which hold no actual monetary value. Nearly all online poker rooms offer play money games. Heck, you can even play free zynga poker on facebook these days! And the reason why is that it is a great way to let people get started playing online and learn the rules of poker. And best of all, they don't have to risk a penny to do so. Some are surprised to know that I was actually a bit of a play money superstar before I ever switched over to real money poker. I won millions of those worthless fake chips! What a hero right? Anyways, in this article I am going to provide you with my top strategies to get you crushing the online play money poker games right now. The first thing that you need to understand about play money is that when there is no money on the line people will play absolutely crazy. Even at the very lowest limit real money games online, where the buyin is often as low as $2, people play much more conservative. So when you first get started at the play money tables online you should get used to everybody being involved in every hand. People will also call you down with anything all the way to the river as well. These are some of the strongest hands in Texas Hold'em. If you stick to only playing really good hands like this, then you will definitely beat the play money games. You can add a few other hands if you want as well such as small pairs (22, 33, 44, 55), suited connectors (JT, 98, 87, 76), and suited aces (A9, A8, A7, A6, A5), but you should be folding pretty much everything else before the flop. Staying disciplined with the hands that you play will be a huge key to your success in play money. The other thing that you need to do is play these hands aggressively. You can't just limp into the pot (e.g. call the blind) like everybody else. You need to raise it up before the flop in order to thin the field. Because if you allow everybody and their dog into the pot, then somebody is likely to hit something on the flop or later in the hand to beat you. Also, even more importantly, the reason why you want to raise the pot is because you have a very strong hand! Therefore you have a higher chance of winning. The whole point of the game of poker is to win really big pots. How do you win really big pots? By starting to build a really big one right from the get go. Think of the pot in poker like a snowball at the top of a hill. The bigger the ball of snow that you start with, the bigger it is going to be after you roll it down the hill. When you have a really strong hand in play money (like those listed above) start building the pot right away. How Much Should You Raise the Pot? This really depends on the other players at the table. But let me say this first. Your goal when raising the pot should be to thin the field to about 2 callers at the very most. You don't want more than this because then there is a much better chance of somebody hitting something silly to beat you. So you should raise the pot whatever amount you think will thin the field to this amount of people. Now in some particularly crazy play money games this might mean just going all in. It might mean raising it 10 times the big blind. This is up for you to decide by observing the table but you get the idea. When you have a strong hand at the fake money tables make sure that you raise the pot enough so that you thin the field to just a couple people. This also helps you build a bigger pot later on in the hand. What Should You Do After the Flop? So now that you have raised up the pot what should you do on the flop, turn and river? Well this depends on whether or not you have hit the board or "community cards" as they are sometimes called. With some of the hands that I listed above such as AA, KK or QQ you do not need to hit the board because you already have a pair. However, with a hand like AK or AQ you do need to pair one of your cards on the flop in order to improve. Furthermore, with hands like 66, 77 or 88, even though you already have a pair, sometimes somebody will have a higher pair if the flop is AQT for instance. So you need to gauge the strength of your hand on the flop, turn and river and then bet accordingly. If you have a hand like AK or AQ and you missed the board completely, then you should just check and fold if anybody bets a reasonable amount. You also want to play your mid pair type hands fairly cautiously as well if they did not connect with the board to hit a set. By this I mean hands like 66, 77 and 88. If the board is bad (3 over cards for instance) and they bet, then often you should just fold. It is very important to stay disciplined after the flop in fake money as well. Don't ever try to run a big bluff against them. Believe me, they will call you down and you will lose. Quick side note: Do not fold to extremely small bets that people sometimes make in play money games (e.g., the pot is 200 and somebody bets 10). I am talking a bet that actually means something such as 1/3 of the pot or more. What if you actually have a big hand though? This is the fun part. If you have a really big hand such as AA, KK or QQ, you hit the board with your AK/AQ or you hit a set with your 66 type hand (e.g. flop is K62), then you want to bet big and bet often. The great thing about play money poker is that your opponents will typically call with anything. So when you have a big hand you never, ever want to slow play it. Always make sure that you bet big (pot size bets) so that you can win a big pot. 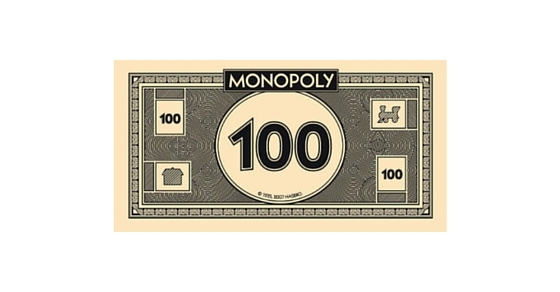 Should You Play the Fake Money Games? The last thing that I want to mention is that play money really should be a short term thing for you. It should help you learn the rules of the game and get used to playing online poker. But as I hope this article helped explain, play money poker isn't really real poker. People play way differently when nothing is on the line. And of course, fake money chips are ultimately meaningless. When you are ready to take the next step into real money poker make sure to go pick up a copy of my free poker ebook. I show you the exact strategies that I used to become one of the biggest winners ever in the low stakes real money games online. Play money poker is really quite easy to win at once you get the hang of it just like zynga poker on facebook. It really boils down to being more disciplined than your opponents. While everybody else is going crazy playing any two cards and chasing every draw for any amount, you need to stick to the game plan of only playing the good hands that I listed above. You also need to make sure that you bet big and often with them when you hit the community cards hard. Don't ever slow play a big hand in fake money because people will call you down with anything. At the end of the day, the play money tables are a fun and easy way to learn the rules of poker and get used to playing online. However, it really isn't real poker. People play way differently when there is nothing on the line. Once you start crushing the play money tables, you would be better served to move on to the lowest limit real money tables and start winning for real! If you found this article helpful, give it a "Like" or a "Tweet" below. Thanks! Hi. Additional hint for play money: usually you get the starting amount restored instantly (or almost instantly) when you go broke. So you can shove preflop with any ace (you will get called with any two cards by some players) till you double up two or three times - why waste time to do it the normal way? BlackRain79, thank you for your blog. It set my mind on the right track to crush the microstakes I think. I deposited $30 and I am at $60 after around 5k hands (so I get like 30bb/100). I am running hot for sure, but even without those lucky hands I would still be ge turning a big profit. The sample is small, but I think I am on the right track. I play full ring and very lag, like 30/24/3.5AF. Yeah, these stats don't look like the reg stats, but as you often said NL2 is a circus. I profit both from my "red line" and from showdowns. I abuse the position, when I see a 8/6/2 nit on my left, I play btn and co the same - extremely loose (any ace, any pair and most kings, all broadways, any suited connectors, most suited one gappers). I play CO and HJ loose and EP/MPs quite tight. Mostly fold the blinds (unless its a pair or a good ace ofc). When I am in position I usually just call preflop with a medicore hand to pot control more (at higher stakes people could find out and abuse it, but not here), I think its most profitable, I dont want to commit too much cash to it but I still want to play it in position. I call most cbets unless I really dont like the flop (or unless the guy has AG around 1). I never do any tricky river bluffs, they just dont fold that bottom pair at all. If I dont like the flop and my cbet is called, I give up on the pot (ok, I fire second barrel against players who usually fold to second barrels). I have huge leaks. Cbet too often, if I get top pair I always try to get all the money in the pot (well, unless I get re-raised, that is a big warning) I would be an easy target to a good player - but on the other hand, if I see a decent player I just give up on the pot quickly without the nuts and wait for a hand against a fish. Anyway, thanks for the blog. I'll keep playing NL2 till I get at least 20k hands, and if I keep +20bb/100 or more, I'll take a shot at NL5. Currently I play 5 or 6 tables but I still dont feel very comfortable, especially if I get action on 3 or more tables. Need some more experience to make decisions quicker. I am glad that my blog is helping you. Great results also! Keep it up. In my opinion, one positive thing of playing play money is that you learn to value bet the hell out of the fish. And this is a very important lesson to bring to the real money tables. On a side note, it's a shame that Holdem Manager's HUD doesn't work on play money tables. It would be useful to start learning to use it on play money tables, as well. Hi Iago, I agree! And also about the HUDs as well. Can't remember if PT works in play money but probably not. The play money system was one notch above a no brainer. As long as I stuck to the basics I continually made 5x my roll with 6 or 8 different groups of players. I had been doing basically that but playing more hands and not betting as aggressively as I should have been with 25% of the results. Play money is vastly different than real cash. I just started recently when my competitive shooting career came to an end after 30 years.